The Catholic Memorial anti-Semitic chants only scratches the surface of racism that exists bubbling just below the surface in the world that we live in. Whether it’s an inability to acknowledge White Privilege in the case of Thoroughly Modern Millie, anti-Semitic symbols at F. A. Day Middle School, and now, in-your-face chants at a sports game, it’s becoming pretty obvious that students need some curriculum in school based on race tolerance. Blatantly racist attitudes are becoming more and more acceptable in the world that we live in, it seems. Currently, many Newton elementary schools use Understanding Our Differences curriculum to develop understanding and respect for fellow students and others with physical, sensory or developmental disabilities. Additional curriculum was added around suicide and stress management in both the middle schools and high schools after the three tragic suicides at Newton North and Newton South High Schools recently. It’s interesting that despite the anti-semitic incidents at F.A. Day Middle School, the focus has been around identifying the culprit rather than addressing underlying attitudes towards racism. At Newton North High School as well, when Thoroughly Modern Millie hit the Boston Globe, the school responded by creating a new system of review for choosing musicals (though it was never made public despite promises by then Principal Jennifer Price) — the committee system in the past did not include anyone of color. Addressing the racism introduced to the audience which was mainly the student body was never executed. It’s as if the Newton Schools lack budget, or curriculum, or time, or interest in education around race tolerance. It would seem to be a natural add-on to the bullying prevention curriculum though, that is currently in place. 1) Concerned parent who attended NNHS basket playoff game at Newton South in which their opponent used anti-semitic chants. She notes that behavior of NNHS students was also poor. 2) From the Newton Patch, repercussions Catholic Memorial took in response to the chants. Here are interesting articles on Are Catholics Racist? from The National Catholic Review, and How Racist Is Your Church? from U.S. Catholic. 3) Response from NNHS interim principal Mark Aronson. On March 7, I attended a NNHS basketball playoff game at Newton South. I was offended by one of the NNHS student section chants and was surprised that people who I thought were NNHS staff in front of the student section didn’t stop them. I wish I remembered or video taped the offensive chant but can’t remember it now. Also, I was alarmed because there were many students participating in the inappropriate chant and to me it felt like a mob mentality. I didn’t attend the March 14 NNHS basketball game at Newton South, but I discussed it with students and parents and read the Washington Post article. Both Newton students and Catholic Memorial behaved poorly, and Catholic Memorial students were held after the game to discuss the inappropriateness and the principal apologized for their chant. I’m not sure if there were any other repercussions at Catholic Memorial, but I haven’t heard of any discussions or apologies from the Newton North students or staff for their initial chant of “sausage fest” which is a derogatory homophobic slur. With the recent anti-semitic vandalism at Day Middle School and the recent Priyanka Chopra interview about Newton South bullying added to the NNHS basketball game chants, I think that the school system needs to educate parents/students and have discussions about how they are representing the Newton Public Schools when at school and school events. Below I’ve taken a paragraph out of the Newton North High School mission statement which we need to strive to attain. 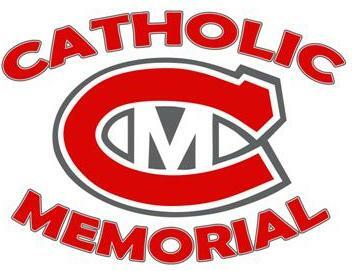 Catholic Memorial will be without its ‘sixth man’ Monday night. The school has banned its students from attending the state tournament semifinal game as outrage mounts over their behavior Friday, WBZ Radio reported. Tensions escalated before the Friday night game when a back and forth between Catholic Memorial and Newton North students resulted in a ‘You killed Jesus!’ chantdirected at Newton North fans. Catholic Memorial officials quickly squashed the chant and asked fans to apologize to Newton North interim principal Mark Aronson. Today I spoke with our students about the fan behavior at Friday’s basketball game. Chants from both schools were unacceptable, hurtful, and have no place at a high school athletic event or anywhere else. Catholic Memorial has apologized, taken responsibility for its actions, and will use this incident as a learning opportunity. We at Newton North must, and are currently working to, do the same. Regardless of intent, the impact of chants from our fans was hurtful. On behalf of our community, I have apologized to Catholic Memorial administrators for our fan behavior. We are taking this event as an opportunity to reflect and learn. We strive to be a community that is supportive and inclusive. In all situations, our students must remember our values and show our “Tiger Pride” in a positive way. As principal, I have high expectations for how our students treat each other. I expect you do too. Using this event, as well as incidents of anti-Semitic graffiti and racist comments submitted via an online survey, we will learn more about ourselves and how we can do better as a community. I have no doubt that, together, we will use these unfortunate events to help students gain a greater understanding of the power of their words and increase their cultural competence.